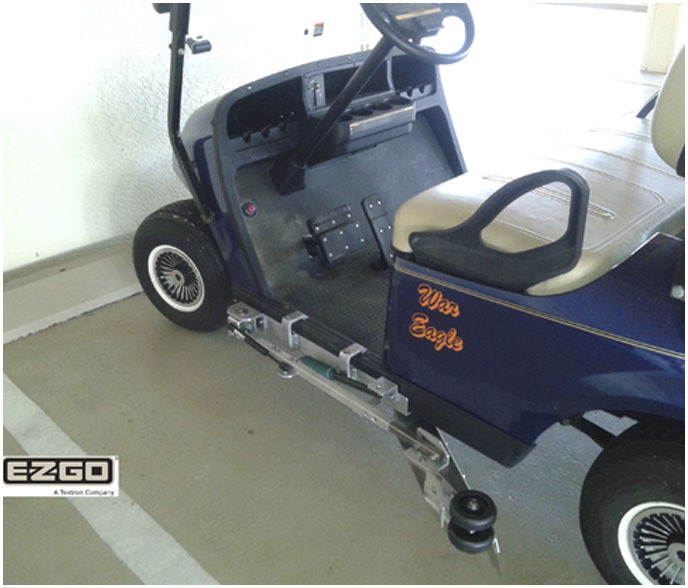 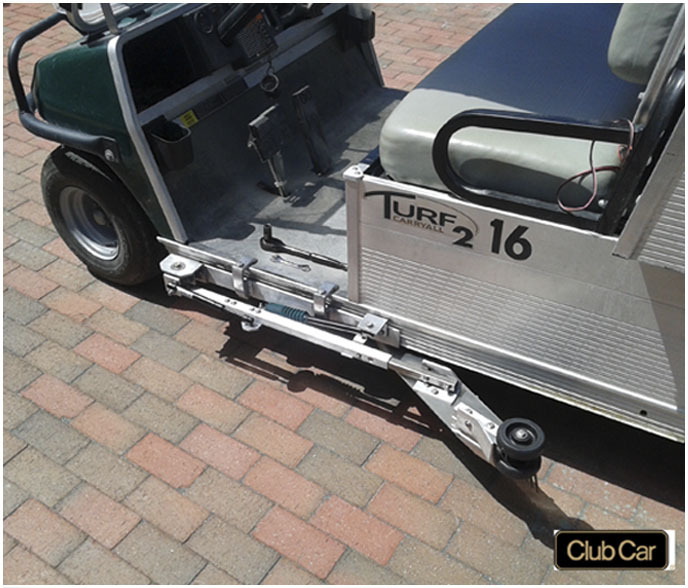 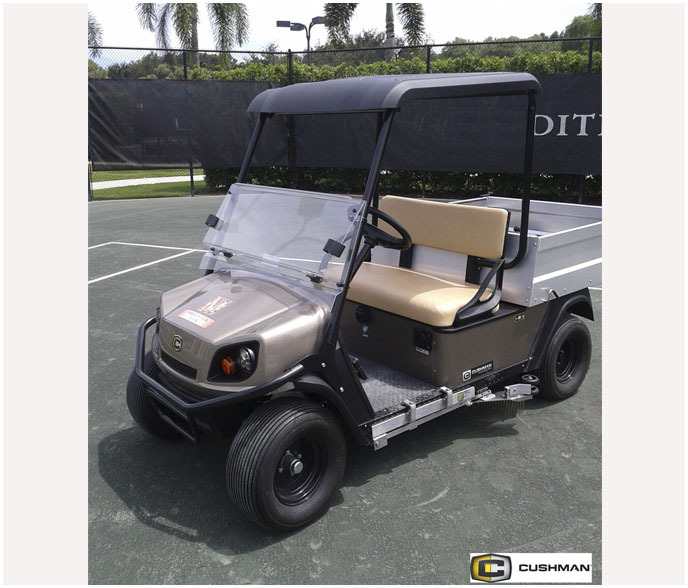 "We do not represent any brand golf cart, we only mention the brand as a reference to show our customers how the Side Rake looks installed on your golf cart and thus answer the question of whether the Side Rake can be placed or installed properly in your golf cart." 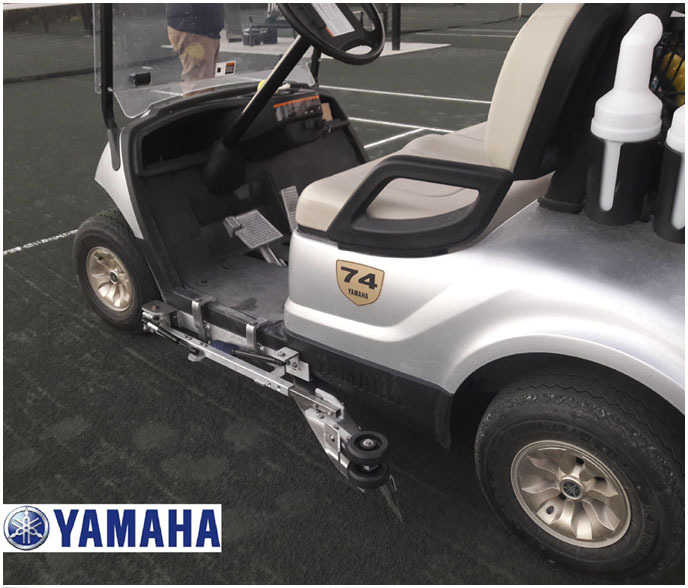 The new way to care and provide proper maintenance to the side corners and central area of tennis courts. 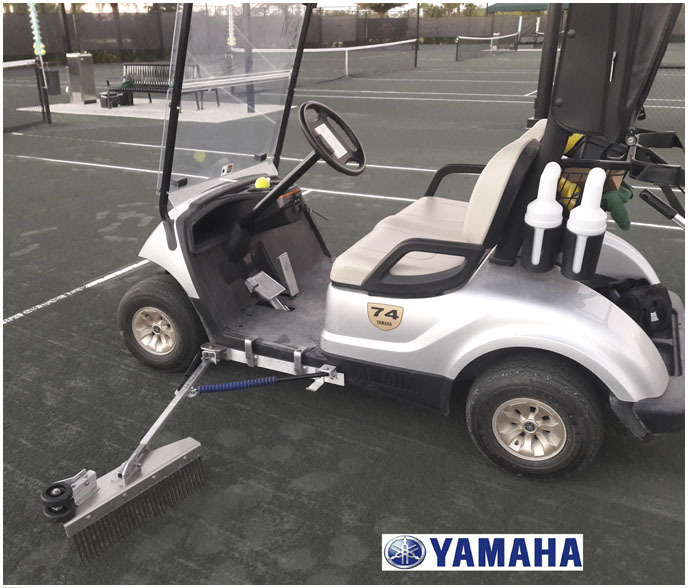 Years of experience working in all areas related to the maintenance of tennis courts, allows us to develop tools that work and perform much faster and easier while taking better care of tennis courts. 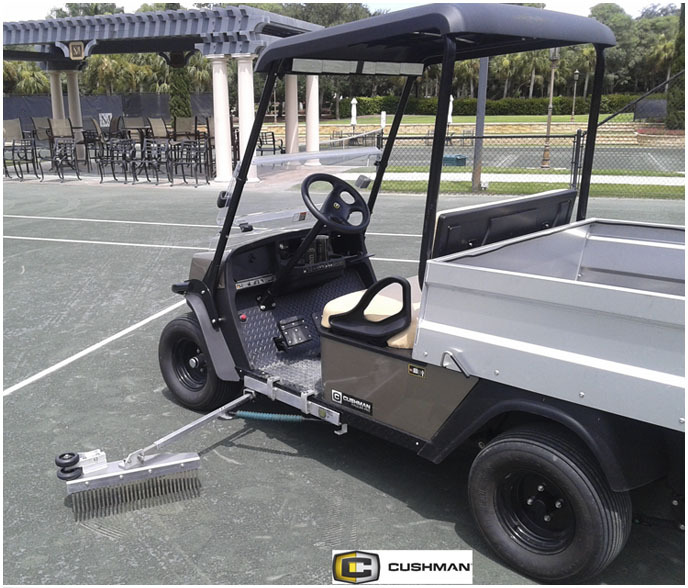 The Automatic Side Rake, the Foot Rake and the new design longer and long lasting replacement teeth rake panels are designed to be used as a daily grooming tool for the surface of sub-irrigated Har-Tru courts, including HydroCourt, HydroGrid. 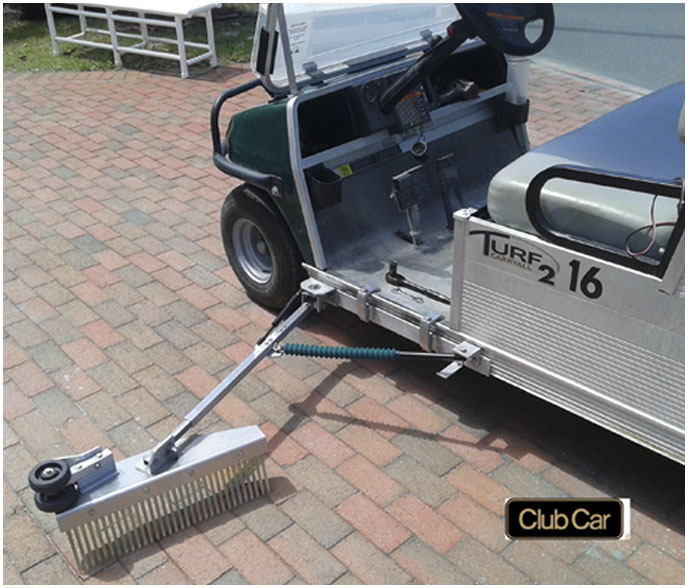 The Automatic Side Rake or the Foot Rake are used daily to combat algae in the corners and keep the top side surface from becoming too hard and pasty. 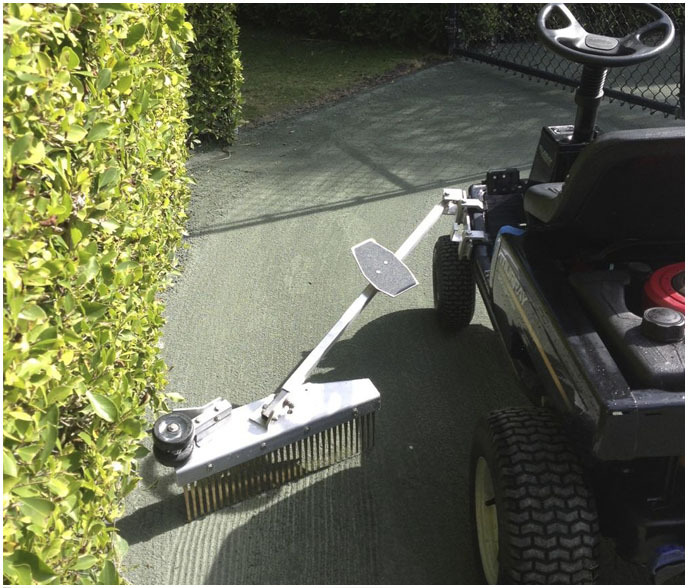 When used regularly, The Automatic Side Rake or the Foot Rake provides a healthy looking condition on the sides near the fence brick line. 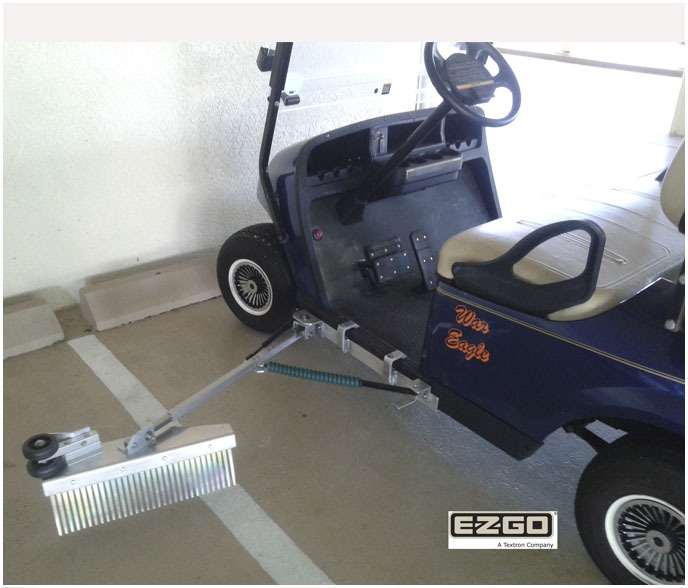 The Automatic Side Rake or the Foot Rake can be pulled over line tapes and over the hydrogrid lid without damaging them. 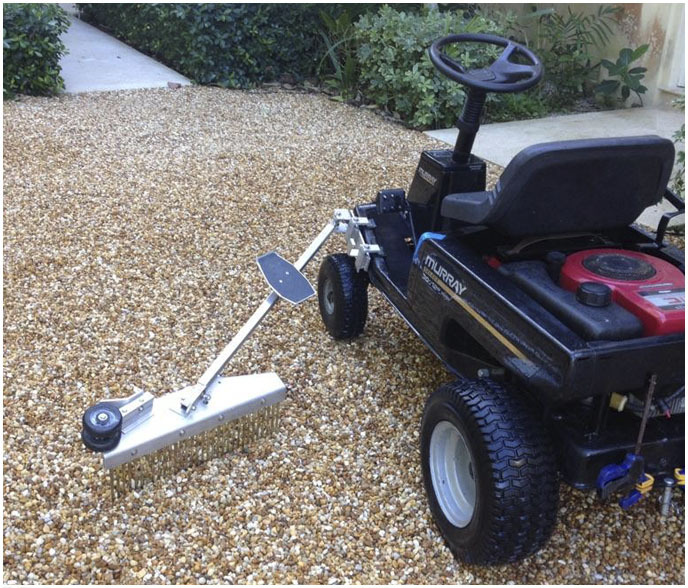 Side Rake and Court Rake Tow Model replacement teeth panels are available.